Known for having one of the best brunches in the entire Lehigh Valley (top 2 in my opinion), Curious Goods at Bake Oven Inn remains one of the hidden gems, unbeknownst to many Lehigh Valley residents. To locals, however, it’s a different story. Ask anyone who lives in the Northwestern area about Curious Goods, and chances are their eyes will light up, and then two things will happen: 1) they’ll ask you if you’ve been to Curious Goods, and 2) if you happen to answer “No,” they’ll tell you that you need to go ASAP. Curious Goods opened back in 2008, right smack in the middle of one of the worst economic downturns our nation has ever seen. For a newly opened farm-to-table restaurant (which at the time was a relatively unheard concept for our area… even in the middle of farm country) to successfully endure such an economically stunted period, is a complete testament to the amazing quality, deliciousness and creativeness of their food. What’s even more impressive is they’ve accomplished this in a location that is lovingly described as “slightly out of the way”. Chef Mark Muszynski and his wife Catherine operate Curious Goods, situated amongst the gorgeous Germansville countryside. It was originally known as Bake Oven Inn, hence the current name. 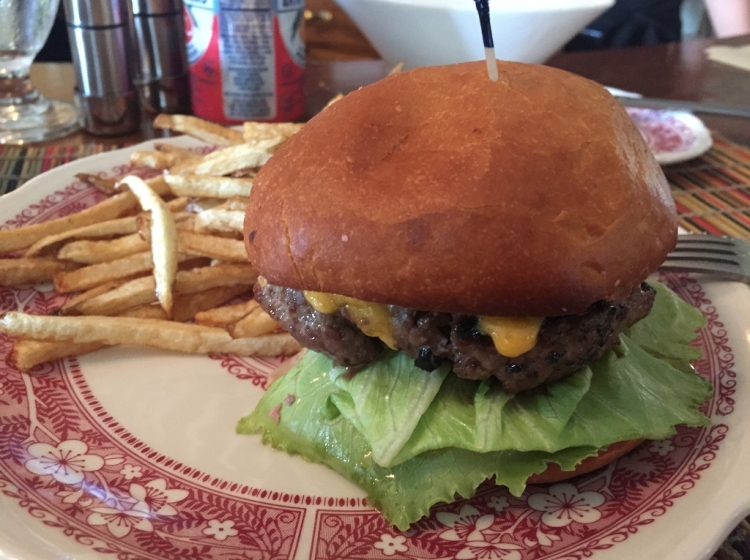 Curious Goods is the epitome of farm-to-table, as all of their ingredients come from local farmers and butchers – most being just a couple of miles down the road. Local and fresh, all year long. 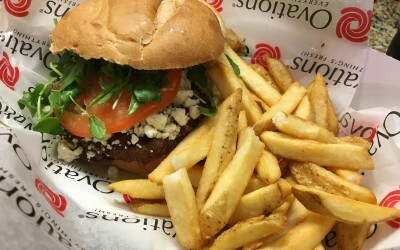 And that’s where our burger begins: with a noticeably fresh, high quality 8 oz. 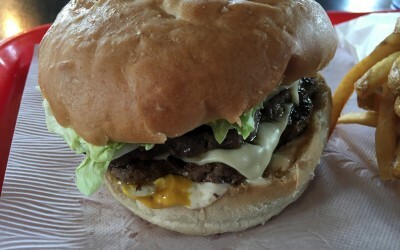 beef patty from Hartman’s Butcher Shop in New Tripoli. 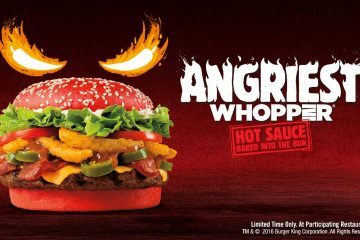 This patty is awesome. Very well-seasoned, incredibly juicy and perfectly cooked. 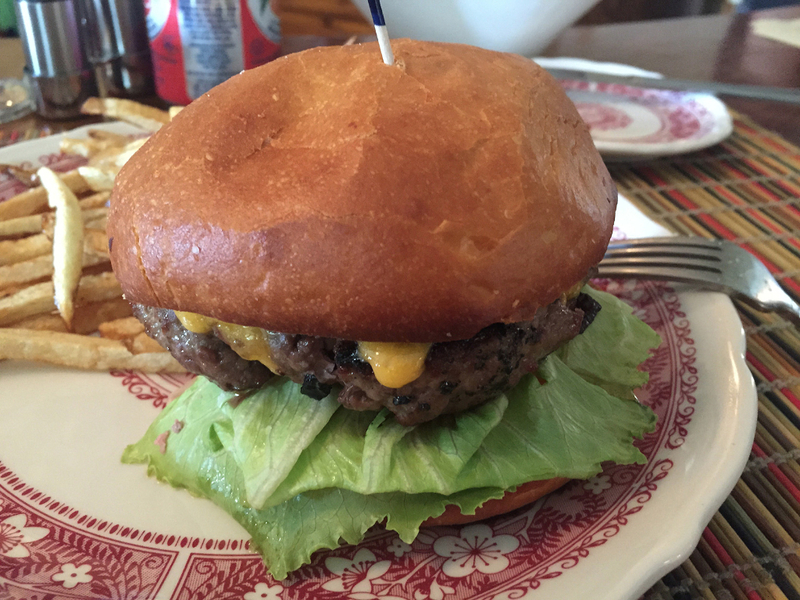 The burger sits on a brioche bun that, just like all of their bread, is baked in-house. 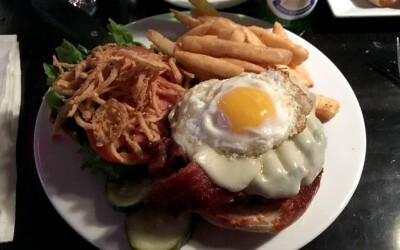 This bun is a marvel in itself. Perfectly toasted and crispy on the outside, yet soft and chewy on the inside. 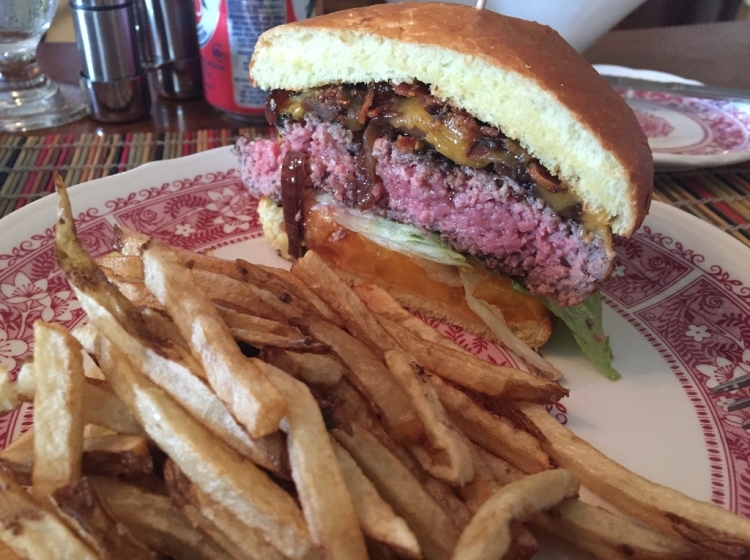 On top is the beautifully crispy, flavorful bacon (also Hartman’s) and melty cheddar cheese, which meld together with the burger to create salty, juicy, peppery magic. It’s a perfect testament to how using fresh, quality beef from a trusted butcher really does make a huge difference. 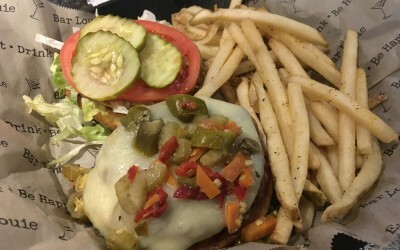 The current version of the burger also features crisp iceberg lettuce and gorgeous fruity heirloom tomatoes, which are in peak season at the time of this mid-August review. 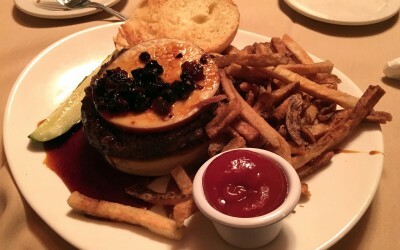 The iceberg lends another layer of fresh crunch that plays well with the juicy beefiness of the burger, and the heirlooms are so fresh, firm and juicy that they’re almost worthy of taking off the burger and eating by themselves. There are no condiments on this burger, and theres a reason for that: it doesn’t need any. 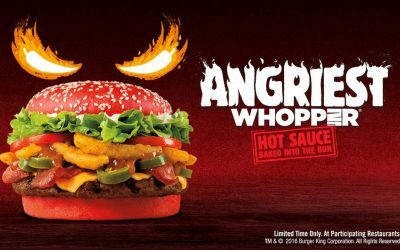 If you MUST put ketchup or mustard on this thing, please try the burger first without either, then you may slather on whatever you deem necessary. On to the truffle parmesan fries. 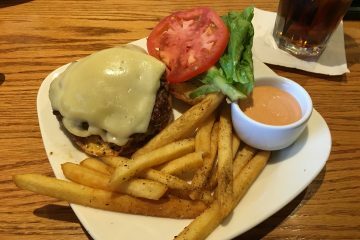 (Please note, you have to specifically order the “truffle parmesan fries” with your burger, as the burger comes standard with the unseasoned fries.) 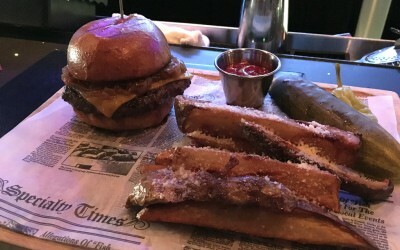 Since I’ve had the fortune of visiting Curious Goods in the past, I’ve come to know that these fries are my go-to side order for this burger. 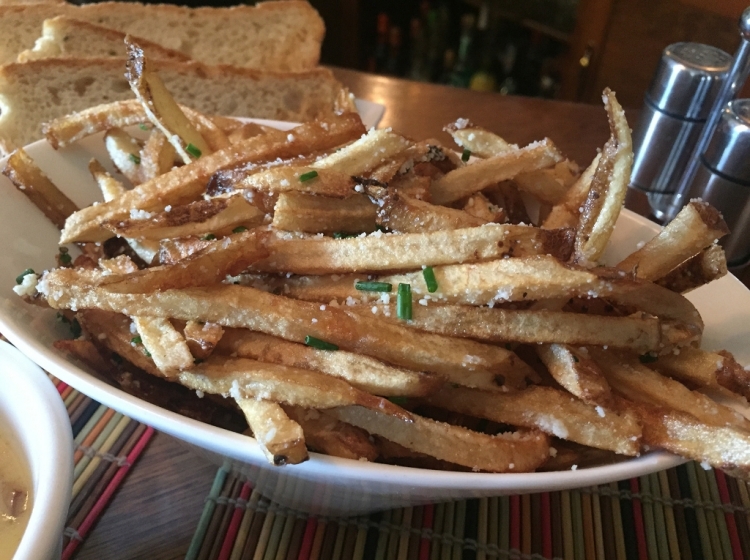 Trust me, Curious Goods’ truffle parmesan fries aren’t just the best fries in the entire Lehigh Valley, but some of the best fries you’ll find anywhere in the country. Period. 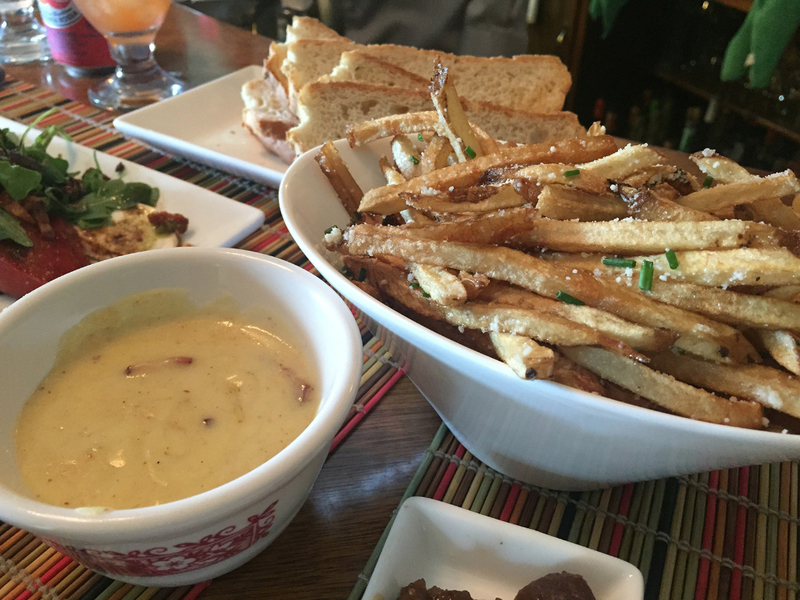 I can only think of a few places in the US that can hold a candle to Curious Goods’ fries, and I’d put these things up against anyone who claims they’ve found better. Hand cut, crispy fried, with a perfect amount of truffle oil and parmesan cheese, sprinkled with sliced scallion. You will eat every last one on the plate. I’d lick the bowl clean if it weren’t socially uncouth to do so. Also, if you want to take it one step further, order them with a side of the bacon dressing for dipping. 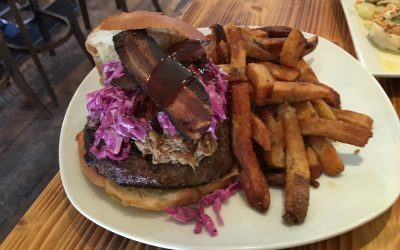 Final thoughts: this is one of the best burgers in the Lehigh Valley from one of the best restaurants in the Lehigh Valley. 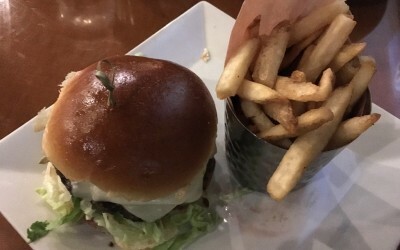 The intensely flavored patty, the house-baked bun, the delicious bacon, and those ridiculous truffle parmesan fries all add up to one divine meal. If I were to change anything, it would be to swap out the iceberg lettuce for a microgreen, bibb lettuce or arugula (I’m not a fan of iceberg lettuce to begin with, so take my opinion with a grain of salt). One last tip: ask for the bacon extra crispy. Take my word: if you haven’t yet experienced Curious Goods, do yourself a favor and get out to Germansville. 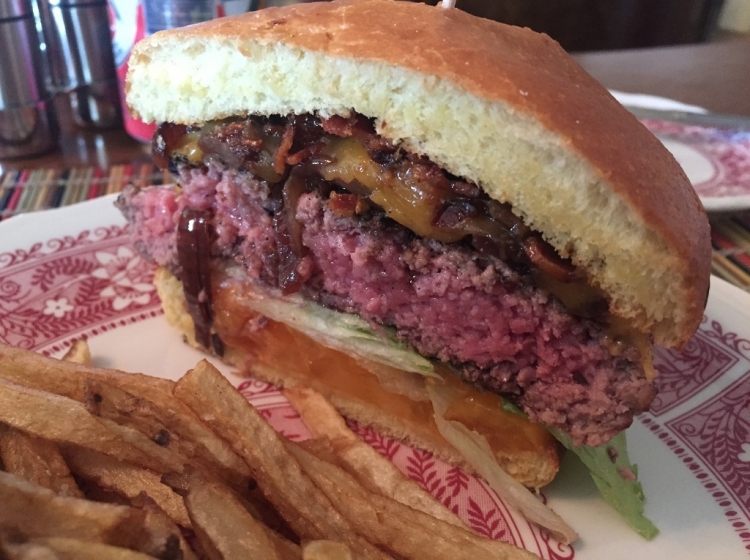 This review may motivate you to head to Curious Goods with intentions to try their burger – BUT – when you get there and read the full menu and then hear their creative, mind-blowing specials, you may very well end up ordering something completely other than the burger. And that’s OK, I’ve done it too. But don’t panic, you’ll just have to come back and try the burger next time. Or maybe the time after that. Don’t worry, eventually, you’ll eat that burger one day.